A Shirodhara is a classic Ayurvedic body treatment. Ayurveda is an ancient science based on the principles of balancing and harmonizing the five elements of our bodies. In Ayurveda, the entire world around us is made up of five elements: Space, Air, Fire, Water and Earth. Our bodies are also made of the same five elements. Harmonizing the elements of the body with nature gives us a healthy body, happy mind and flawless skin. 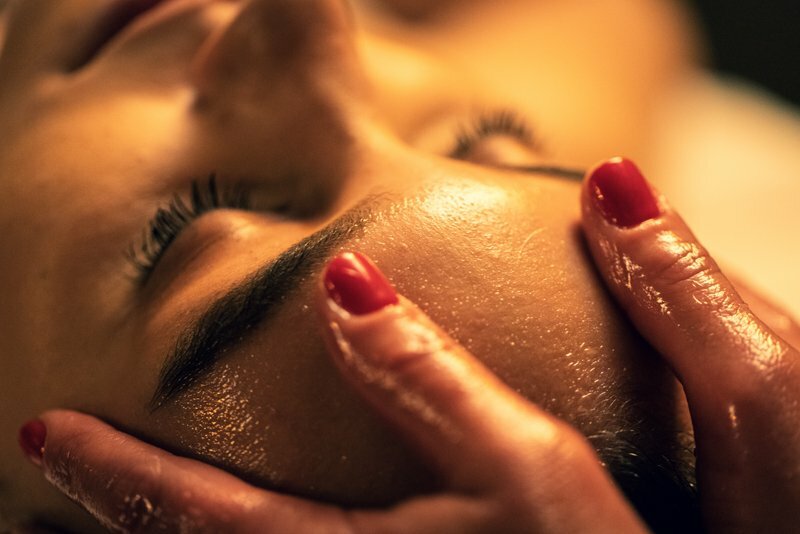 ‘Shiro’ in Sanskrit means head or forehead region and ‘dhara’ means a continuous flow, so Shirodhara translates to a continuous flow of herb infused oil on the forehead. The treatment begins with a powerful aromatherapy inhalation session to activate the senses and energy centers. A brief foot and hand massage follow to further activate energy centers and relieve stress. The scalp is stimulated to prepare to receive Shirodhara. The oil is then poured in a unique ancient flow pattern for eight to ten minutes to stimulate forehead nerve nodes and balance the pituitary and pineal glands. Following the oil flow, guests indulge in a moment of total silence before a final head and scalp massage to complete the treatment with a state of happiness and mental clarity. This treatment ends with a nice head and scalp massage. Since the Shirodhara oil is custom made and very beneficial for the hair and scalp, it is recommended to leave it in for 2 to 24 hours after the service. Shirodhara helps with improving insomnia, hypertension, high blood pressure, depression, anxiety, sinus problems, migraine headaches and more. One feels deeply relaxed and rejuvenated after their Shirodhara treatment. There is a sense of release and clarity that dawns afterwards. Space is limited. Reservations available by phone only.